It’s known that cooking your own bone-smart meals plays a significant role in building and rejuvenating your bones. But have you ever thought about cooking for increased energy, emotional health, and even deeper relationships, which also help your bones? All of the above, and more, are proven benefits of cooking your own meals. Of course, there’s nothing wrong with eating out now and then; but if you need motivation to do more of your own cooking, I hope that these 10 benefits will inspire you. Frankly, I don’t know very many adults who couldn’t use more energy. When you prepare your own meals, you can choose energizing foods like kale, radishes, cabbage, and broccoli. And you’re in control of the food quality when you cook, so you can choose organic produce that won’t add to your body’s toxic load. In order to appeal to customers, restaurant chefs use high levels of salt to boost flavor. Fast food is particularly prone to this cheap, quick, flavor-enhancing trick. While there are things you can do to watch sodium intake in restaurants, the bottom line is that cooking at home puts you in control of how much sodium goes into your food, as well as what kind of salt you use (sea salt, for example, is more alkalizing than table salt). Ultimately, your homemade foods will have a lot less sodium than restaurant foods, which often come frozen and pre-packaged (especially at chain restaurants). Why is salt consumption such a concern? When you ingest large amounts of sodium chloride, it puts the potassium-sodium ratio off-balance in your body. 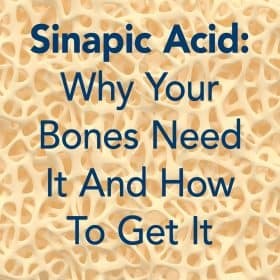 This sets the stage for metabolic acidosis, which causes your bones to lose calcium and other alkalizing minerals. I have heard from Savers on both end of the spectrum, from those who fear losing too much weight to those who’d like to shed a few pounds. When the majority of your meals are cooked at home, especially if you’re following the nutritional guidelines in the Osteoporosis Reversal Program, it’s very easy to adjust ingredients to allow for weight gain or loss. It comes down to optimal weight, not a particular body type or a cookie-cutter weight recommendation. And this matters when it comes to osteoporosis – despite rumors to the contrary, excess body fat does not improve bone density. In fact, quite the opposite is true. Many people are concerned about trans fats (hydrogenated oils), and for good reason. These artificially altered fats can cause chronic inflammation, which reduces bone density, and they persist in the body where they form free radicals that actually damage DNA. This is not to imply that all fat is bad. That nutritional mistake has already been made in the form of “low-fat” diets and foods that permeated the market several decades ago. Now we know that healthful fat consumption is not only permissible; it’s necessary. That’s because your body can’t manufacture EFAs, or essential fatty acids, which are needed for the uptake of crucial fat-soluble nutrients (such as Vitamin D). So these fats must be obtained from the foods you eat. In addition, your body needs healthful fats to form cell membranes and build bone. In fact, a diet that includes healthful fats like olive oil increases calcium absorption and promotes collagen synthesis, setting the stage for strong, flexible bones. When you plan your meals and snacks each week, you can be sure you’re picking and choosing the right foods for your nutritional needs. If you’re following the 80/20 alkalizing diet in the Osteoporosis Reversal Program, then you’re accustomed to planning meals accordingly. It becomes a habit over time as you develop family favorites and get into the rhythm of pH-balanced eating. Cooking at home helps keep this balance on target, allowing you to choose the right proportions of acidifying and alkalizing foods. 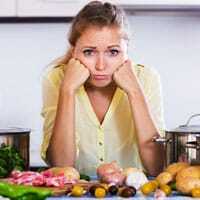 It’s easy to think of grocery shopping, meal planning, and food preparation as sources of stress. But it can actually be quite the opposite with the right mindset. Instead of thinking about cooking as a tiresome chore, think of it as taking control of a very important area of your life. Healthful eating is closely connected to heath in general, so as you recognize the importance of your task, it puts things into perspective. After all, cooking is reliable, creative, and a welcome foil to daily life events that can seem completely out of control. Cooking focuses your mind down to the task at hand, providing relief from worries and fostering an almost meditative mindset. Cooking also provides a creative outlet. For example, you can try new ingredients, colorful presentations, and other innovations right there in your kitchen. It involves all of your senses, from hearing the sizzle of a sauté, seeing the blending of colors, feeling food textures, smelling the incredible odors of cooking food, and of course, tasting your delicious creations. All of this plays into relieving stress, which is vital for your bones to build and flourish. Unchecked stress exposes your bones to detrimental levels of cortisol, the stress hormone. 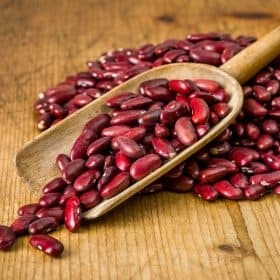 Here’s another factor to consider regarding meal preparation and stress relief: there are certain Foundation Foods that provide stress-busting, cortisol-lowering nutrients like healthful fatty acids and antioxidants. And when you’re in charge of your ingredients, you can choose these special foods to create a stress-relieving meal. These key nutrients also help build bone, boost immunity, and many other health benefits. In fact, stress poses various hazards to your health; so by taking steps to relieve it, you’re doing your whole body a world of good. Preparing and sharing foods deepens relationships in many ways. Think about some of your favorite memories growing up – at least some most probably involve food. I have many fond memories of my mother’s kitchen, standing beside her and learning how to prepare delicious dishes that my whole family enjoyed. And I love to share those foods with my own family, passing along the flavors and traditions that create memories and bind our families together. It’s not just food preparation that includes sharing. Sitting down for a meal as a family (even if that includes just one other person) is a healthful, relaxing activity that provides a chance to communicate without hurry and distraction. It’s especially meaningful when you’re sharing lovingly prepared foods that nurture the body, including bones. Even if you’re purchasing local, seasonal, organic foods that cost more than their cheaper, less-healthy counterparts, you’re still saving money in the long run. For one thing, planning ahead and cooking your own meals reduces food waste considerably. You may not realize it, but restaurants throw out a ridiculous amount of uneaten food every day. By choosing to cook your own meals, you’re not contributing to this wasteful practice. There are other ways you can save money while eating your way to bone health. Meal preparation requires planning, which includes taking stock of your pantry (so you don’t buy ingredients you already have), making a grocery list, and planning for leftovers. Eating foods prepared by behind-the-scenes handlers (who may be sick or inexperienced) raises the risk of ingesting food-borne pathogens considerably. At home, you are in control of sanitation and can avoid cross-contamination of foods (such as raw meats and salad greens) by washing countertops and cutting boards. You can also avoid improper cooking, such as undercooked meats, when you prepare your own dishes. Don’t let the idea of spending time in the kitchen seem like hours and hours of drudgery. The reality is, home meal preparation takes less time overall. Consider the time it takes to decide on a restaurant (this can be considerable depending on family dynamics! ), drive to that restaurant, wait to be seated, decide what to order, wait for your food…and you haven’t even eaten yet! With a little planning, you can save heaps of time by using a grocery list, shopping on a regular schedule, and planning ahead by preparing double portions (and freezing) or pre-chopping vegetables and keeping them in the fridge. How Do I Know I’m Cooking The Right Meals For My Bones? After a review of all the benefits of at-home meal preparation, you’re hopefully inspired! But you may also be left wondering what to cook to ensure that you’re building instead of harming your bones. If you have the Osteoporosis Reversal Program, then you know that it includes a list of acidifying and alkalizing foods. Plus a complete list of Foundation Foods, their corresponding Foundation Supplements, and it also includes a Recipe Sampler. But since Savers asked for a companion cookbook to accompany the Program, I created Bone Appétit. With colorful photos and over 200 pH-balanced dishes, Bone Appétit takes all the guesswork out of bone-smart cooking. Its convenient digital format makes searching for terms, foods, nutrients, and any other topic a snap. Simply open the PDF file and click on ‘Search’ to find whatever term you’re looking for. There are other ways that Bone Appétit saves you time. As we discussed in #10 above, meal preparation does not have to take hours. To help shave minutes off your cooking time, Bone Appétit includes Quick Picks at the end of each section. Quick Picks are dishes that take 20 minutes or less to prepare, so you can enjoy bone-nourishing foods regardless of your schedule. Bone Appétit makes it easy to reap all the rewards of cooking at home to nourish your bones, body, and emotions. Eat well, be happy, and enjoy strong bones! 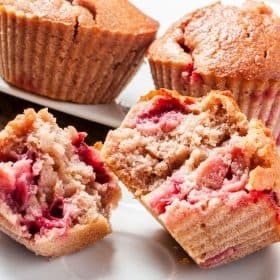 Can we substitute coconut flour with almond or rice flour. Will it make a difference to your scone recipe? I am vegetarian – How many vegetarian recipes are in the cookbook? Thanks. Because animal products are not emphasized on the Program, many recipes in Bone Appetit are vegetarian. 🙂 Recipes for breakfast, soups, and most salads are vegetarian; there is a vegetarian section that contains 31 recipes, and 26 dessert recipes are vegetarian. I am elated to report that my 2nd Dexa test now shows that I went from -2.5 , 2 years ago to now -2.3. Instead of having osteoporosis, I have been told I am considered osteopenic. I have been following the Save program and feel confident that I can continue to improve now. Thank you for all the vital information you provide. I just want to ask what you know about a once a year shot that will build bone. I agree with most of the points about cooking at home being healthier, except that it reduces stress. It is the opposite for me. I do not like to cook, and the thought that I have to cook dinner each night causes dread all day long. No problem, Ella. We’re so glad you’re here and learning from all the free information on this site! I’m hearing how Healthy Bone broth is. Do you have a recipe for Organic bone broth, and what type of bones to use,. Also, how often to drink this? Bone Appetit cookbook last August 22, 2014. I am so glad you’re enjoying Bone Appetit, Marlene!